He really loves the ice, doesn't he? And it truly is his beauty secret. The amazing fan photographers have come through for us. I love Yuzu's soft and fluffy hair. And look at that shiny ring around his head. Why is everything about him spells "manga/anime protagonist"
I see a huge gap in ability too, Yuzu, but in reverse. Anyway, it's good the he felt refreshed and motivated. Thank you @kaerb for the translation. 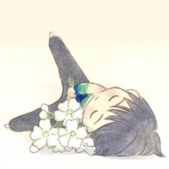 Not seeing Yuzu in that sakura Kiss and Cry hurts so much. Kaori and Rika. They are so cute. Yeah, he was very diplomatic there, one sentence for Yuzu then one for Nathan. It seems Raya had to delete his tweet (or instagram) about Yuzu being the complete skater while Nathan being the technical and athletic one. Javi's interview from Olym Channel. He had lots of complimentary words for Yuzu. No, Yuzu, because you said these, you are the strongest and the coolest. 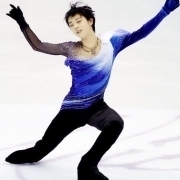 Edit: The quote above belong to Shoma, I'm sorry for the mistake. Poor Shoma. I really hope he is physically okay.